17TH JAN 7-30PM - THE STANZA, THE SANDPIPER, CULLERCOATS. 21ST MAR 7-30PM - THE STANZA, THE SANDPIPER, CULLERCOATS. 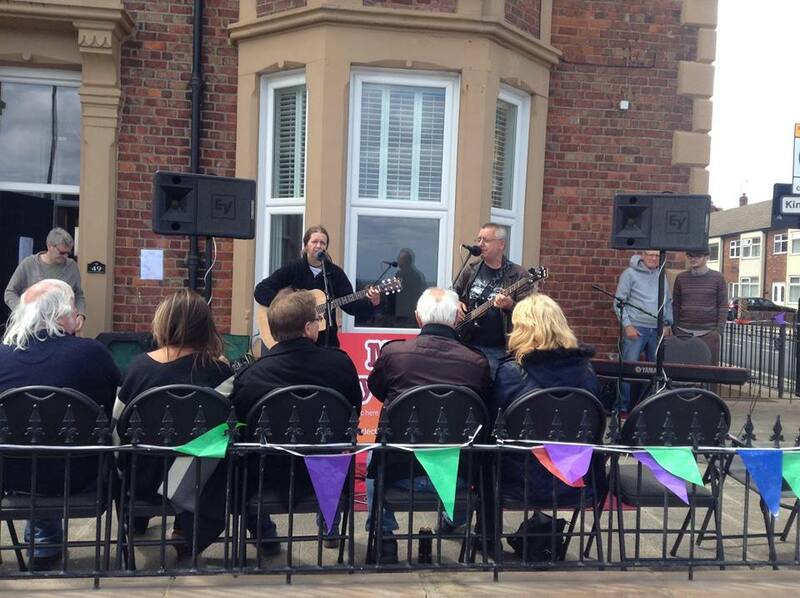 16TH MAY 7-30PM - THE STANZA, THE SANDPIPER, CULLERCOATS. Who are Renata & Trev? We are an international duo. We enjoy singing harmonies and we play a variety of styles, mostly on guitars but also on a range of other instruments. 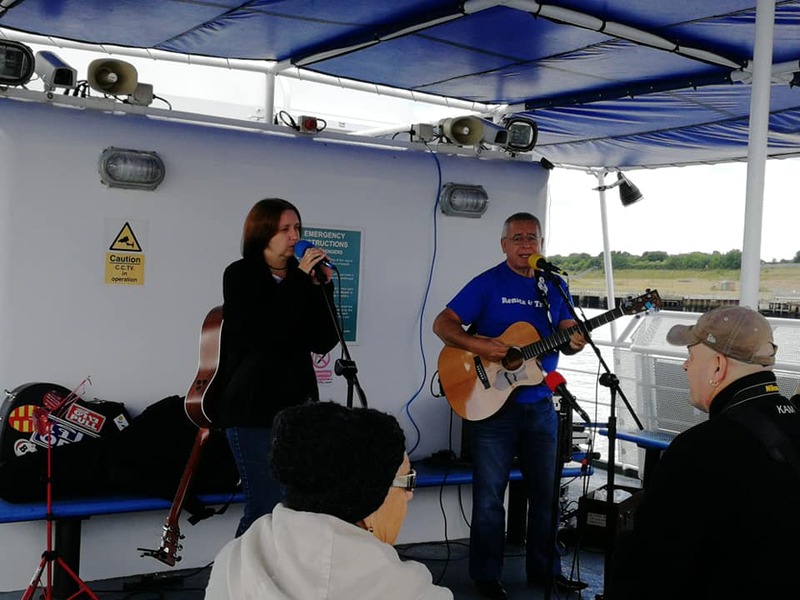 We are both songwriters but apart from our own songs we also perform traditional folk music and we like to do covers of rock, pop, blues, c/w and other musical genres. 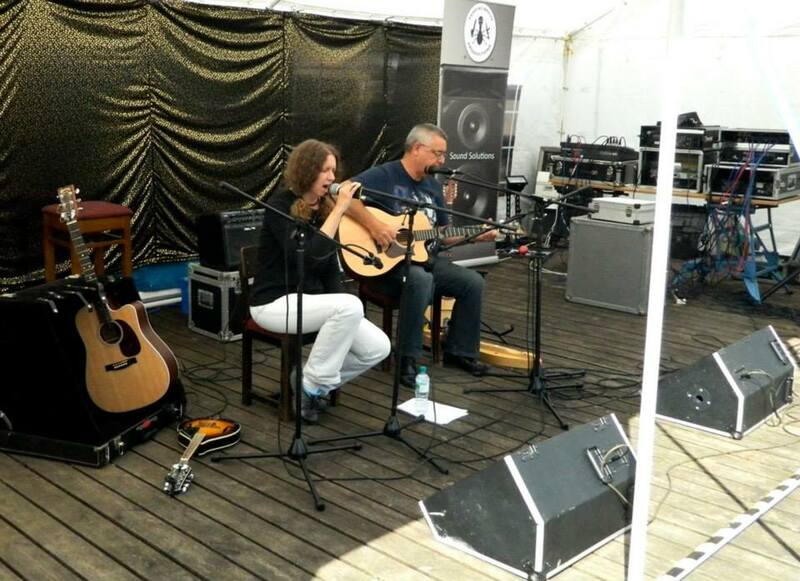 We are happy to play acoustically or with our own PA.
We teamed up as a duo in December 2011. 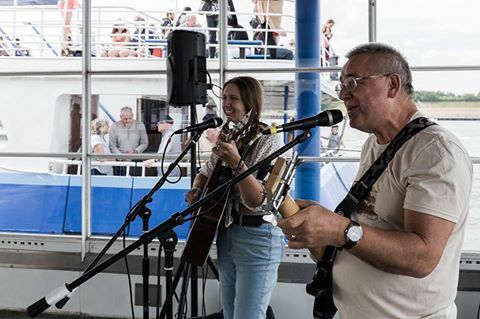 We have played extensively around the North East and entertained at various festivals such as the Alnwick international music festival, Roots North in Yorkshire, The 'B' festival in Bamburgh, Woolfest in Cumbria, Festival on the Moor, Driffield folk festival, Crossing the Tyne festival and Stockton pirate festival. 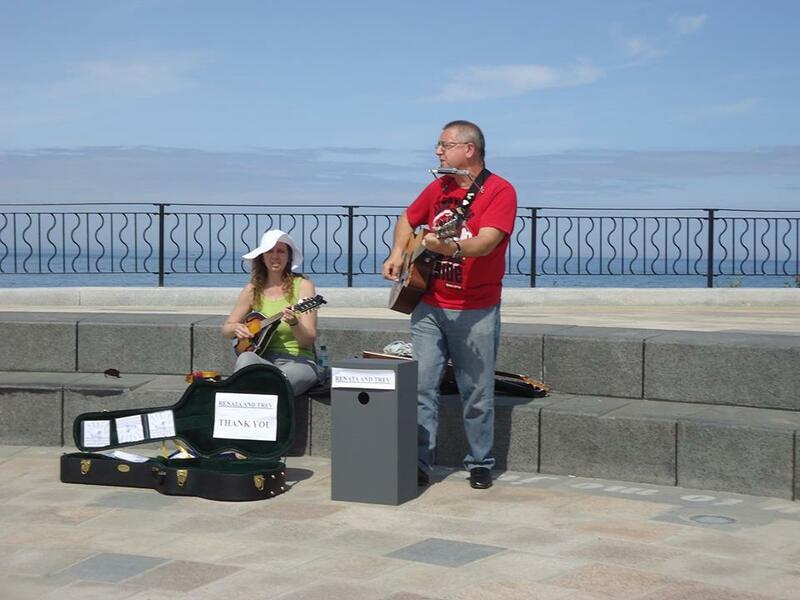 We have appeared on several local radio stations and also Chorley FM in Lancashire. We recently released our third CD entitled 'One Little Cloud'. All the tracks on this new CD are our own compositions. Our previous albums are called 'Happy Land and 'The Unicorn' - see below for more info. 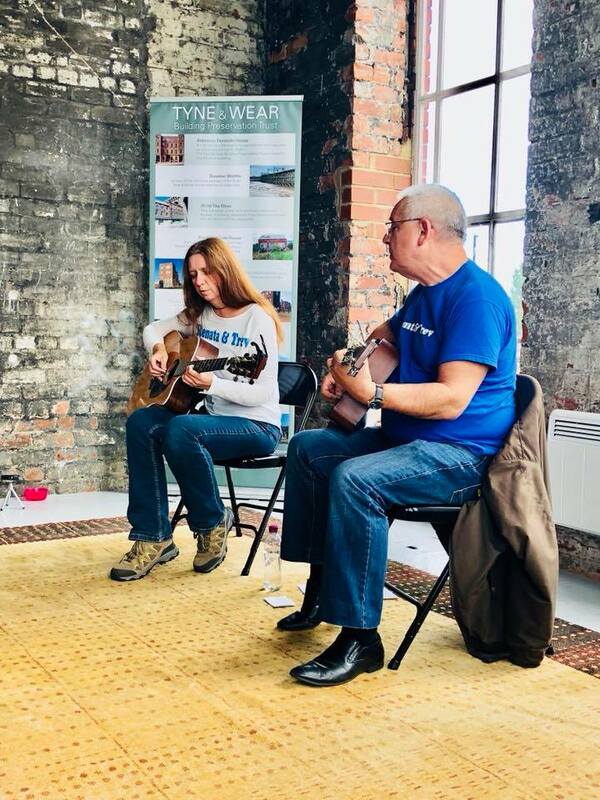 Playing live we cover a wide range of styles from folk to contemporary and also do songs in different languages including Czech, Latin, French, Spanish, Japanese, Slovak and even Geordie! Until recently we also ran our own busker's/open mic night each month for two years. 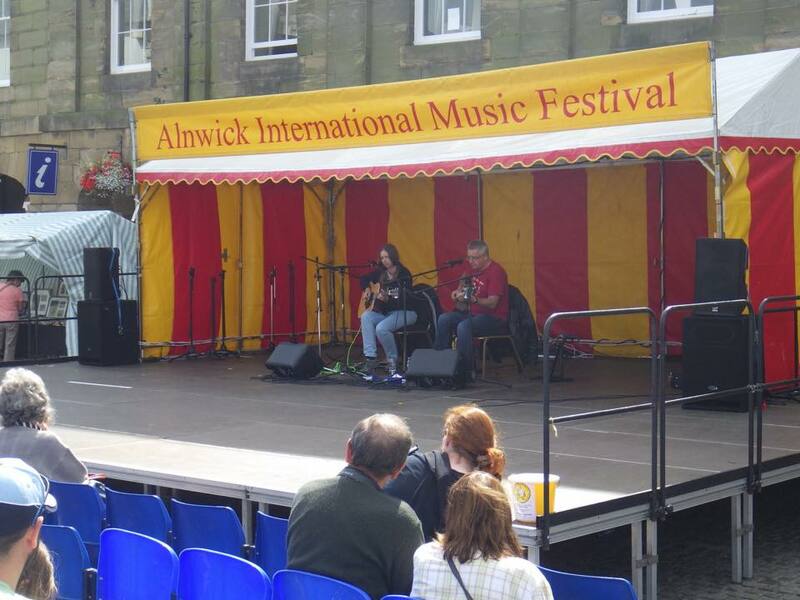 Is a Northumbrian and has been playing in public since 1972. He is a singer/songwriter who also plays guitar, dulcimer, Irish bouzouki, mandolin, bass, harmonica, ukulele, psaltery, percussion and saz. He had his first songs published in 1972 and has been a member of various rock and folk bands through the years. Trev has released many solo records and cds over the years. He has appeared solo on radio Newcastle, Chorley FM, Bishop FM, Lionheart radio, Radio Tyneside, Radio Teesdale and many other stations. He also spent some years writing background music for a drama company based in Newcastle. Trev has been a regular face at many folk festivals around the country and has been a session player on cds by three other artistes. He turned professional in August 2011. Hails from Prague in the Czech Republic, had trained as a pianist and dancer in her home country. Already an accomplished singer, she took up the guitar at the age of 16 and has since played and sung in many social gatherings - solo or as a part of various groups. As a songwriter she likes to express her poetic view of the world and also use her experience of different cultures. She's lived in the UK since 2002. Renata plays guitar, mandolin, bass, percussion and keyboards. 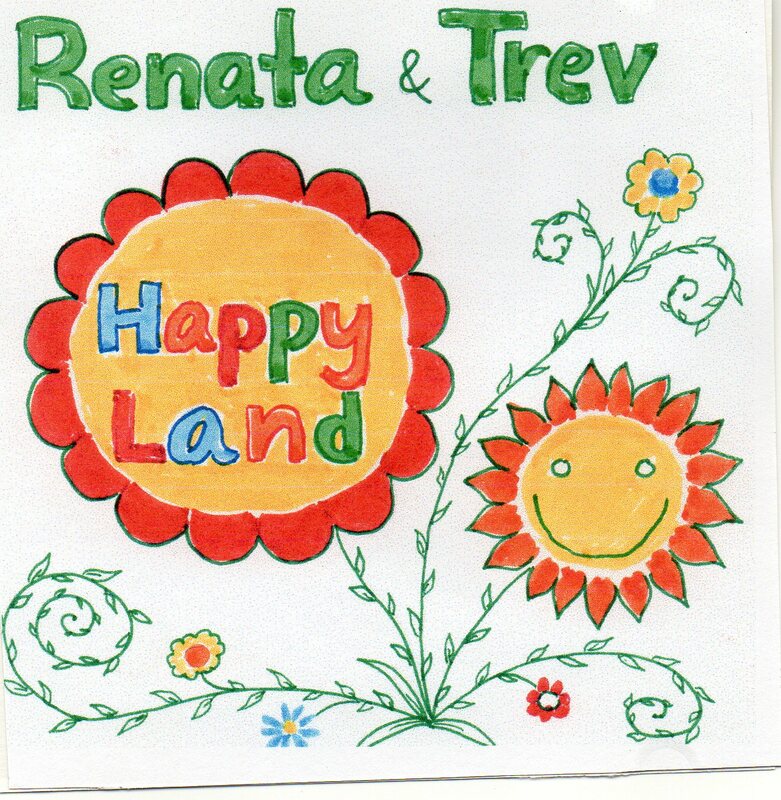 Our SECOND album 'HAPPY LAND' is available to buy at our gigs or contact us and we'll post it to you. Our third album, 'One little cloud' contains 12 original tracks. Available at gigs or contact us and we'll post it to you. "DUAL HARMONIES, MELODIC GUITAR, SPINE TINGLING VOCALS - A MUST SEE - WE LOVED THEM SOON AS HEARD THEM. PROPER TALENTED PAIR. " Juliette Hall, The Turf, Consett. 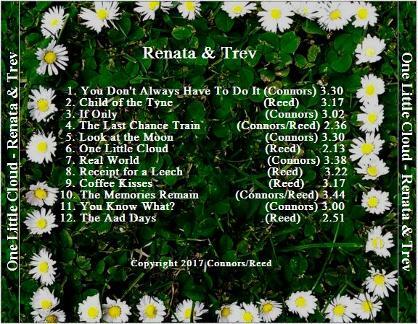 “Renata and Trev: Sublime folky melodies and harmonies from a superb male/female duo! " " Sublime vocal harmonies and melodies help deliver this awesome duo's great original songs and informed choice of covers... check out. " Jonathan Tait, North Terrace bar, Newcastle. "Renata & Trev, what a great duo"
"Renata and Trev, two excellent musicians who do really good self-penned stuff, as well as international folk from Renata’s roots." Kay D'eath, Foggy Furze Folk Club, Hartlepool. "Wonderful musicians and also lovely people. Well worth going out to see. John Harris, The Stannington club, Heaton. 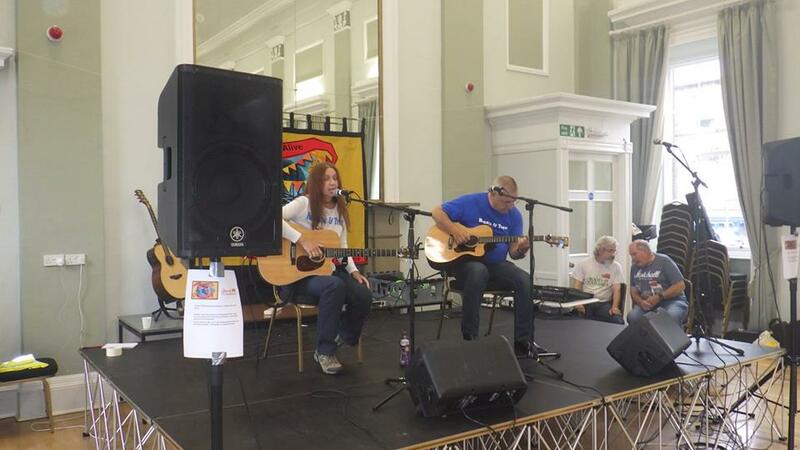 "This very popular local duo will be performing songs from across the years. Don't miss this fantastic dynamic duo"
Kenneth Anthony Craig, The Bernicea music company. "The perfect blend of Folk influenced original material plus singalong popular covers by this even more so popular duo! " Jon Tait, Bar at the Brandling, Jesmond. 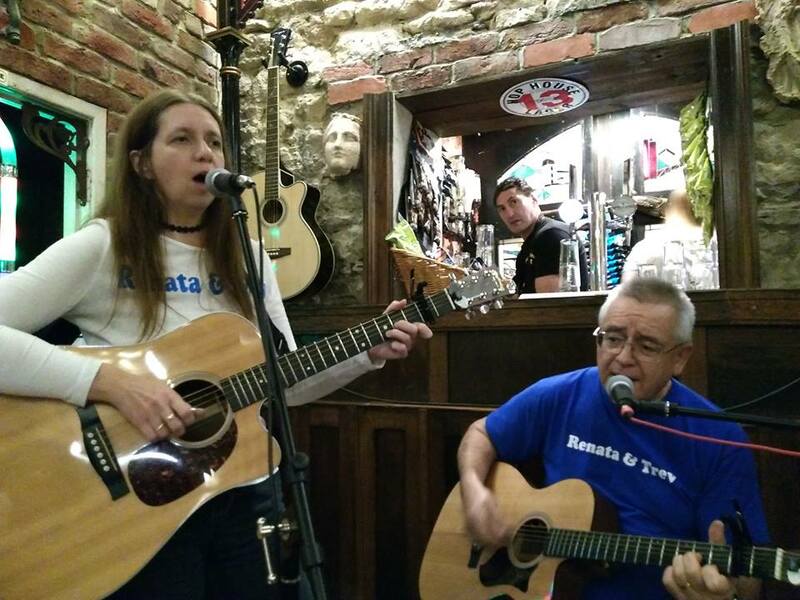 "The brilliant Renata and Trev every month bringing their unique sounds to The Stanza which is always a treat." "I just had to say a big thank you to Renata & Trev for being such smashing guests on my show last night it was a pleasure." "Some people missed a real treat yesterday.... a rich mix of Geordie & Prague - great sets from these guys! A must for next year's Fest!!" 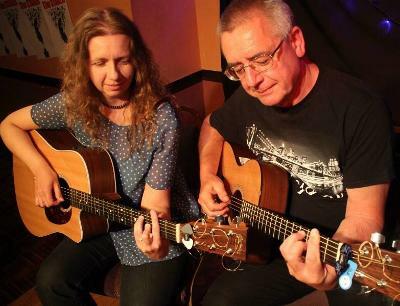 "Had a cracking night at the old low lights watching Renata and Trev....very diverse range of songs....very enjoyable." "Tender, yet cutting? Sweet, but funny? 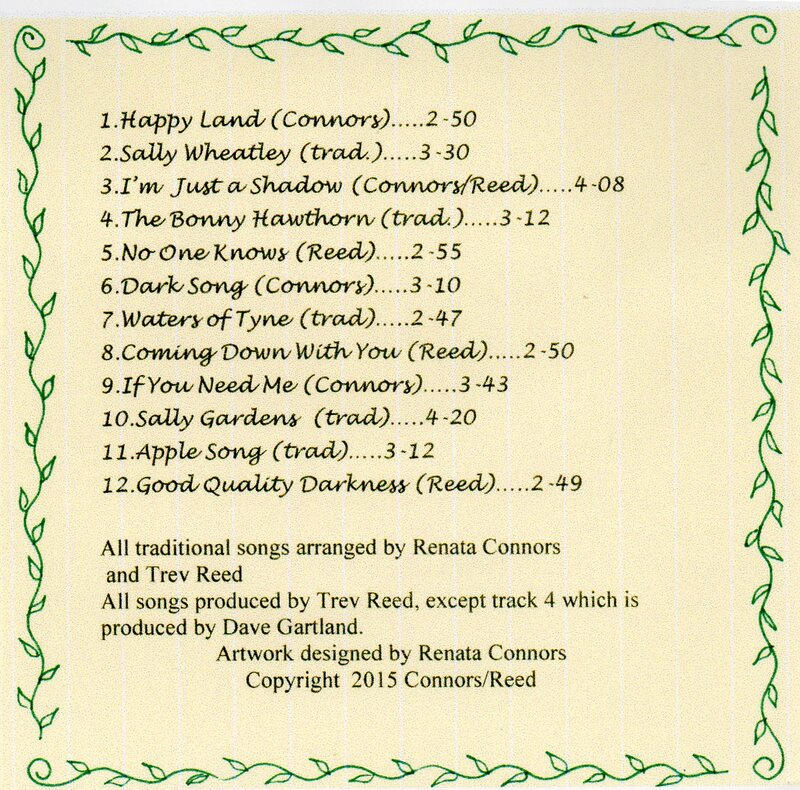 It has to be our very own harmonious twosome, Renata Connors & Trev Reed!" "........and music from the inestimable Renata & Trev!" "This month's Stanza was one of the best I've been to. Enjoyed Renata and Trev." 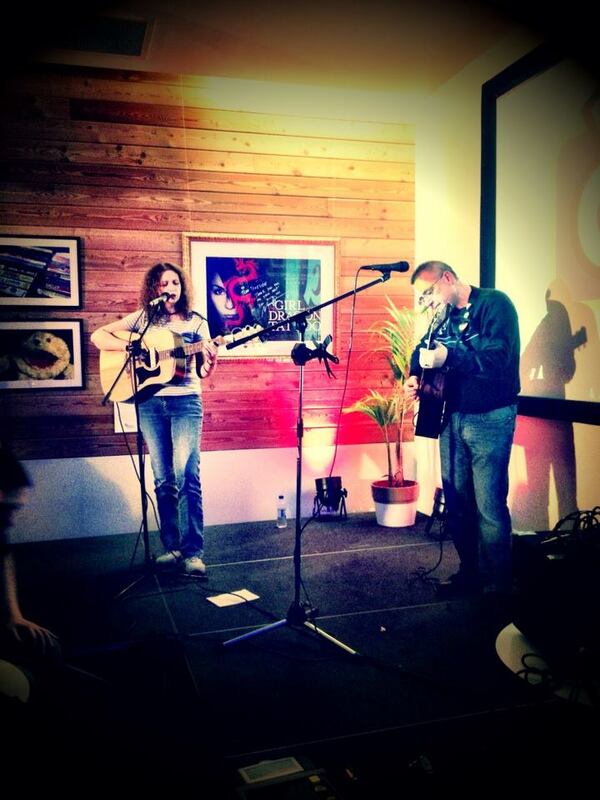 "Catch Fabby Renata & Trev at ROOTS NORTH FESTIVAL - taking place this weekend..."
"A talented singer songwriter duo!" "Renata and Trev performed to their usual very high standards and it is always good to have them at our Club." Eddie Gorman, The Monkey folk club. ""Appearing for the first time at Goodmanham this year.... the fabulous Renata and Trev"